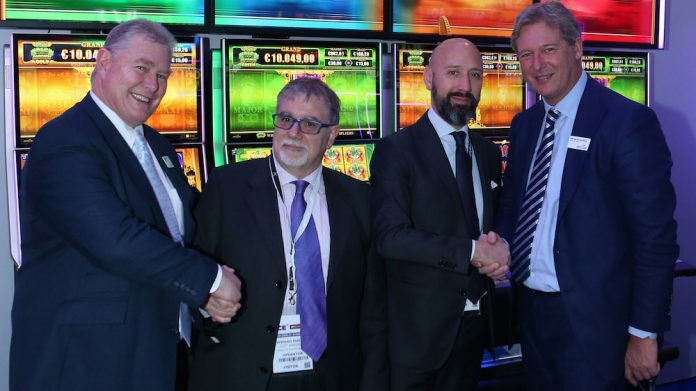 Casinò di Venezia, the world’s oldest established gaming house founded in 1638, has become the first casino in Europe to go live with one of Aristocrat Technologies’ most innovative game developments, Mighty Cash Big Money on the revolutionary HelixTM Tower platform. Helix Tower comprises a line of four Helix+ cabinets sporting 55-inch portrait toppers which abut one another to form a giant video wall. Game-driven animations, progressive jackpot values and bonus features are played out on the large overhead screen, offering highly visual anticipation events and win celebrations. 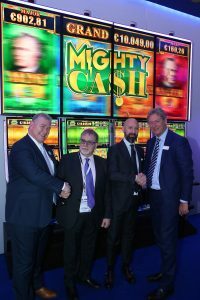 Mighty Cash Big Money is the first linked progressive game package theme on Helix Tower, incorporating the highly popular Mighty Cash feature derived from Aristocrat’s ground-breaking Lightning Link Hold & Spin mechanic. Players can select from four denominations with 3-level progressive jackpots and both mystery and symbol-driven wheel features and free games on offer. Big Money is stacked with banknote symbols and comes with two base game flavours; Xtra Reel Power ‘Gold’ and 50/30 line ‘Green’, the latter with an additional nudging wild feature.